Where to store those special keepsake corks, once in a lifetime memories in the Mind Reader 'corky' cork holder. 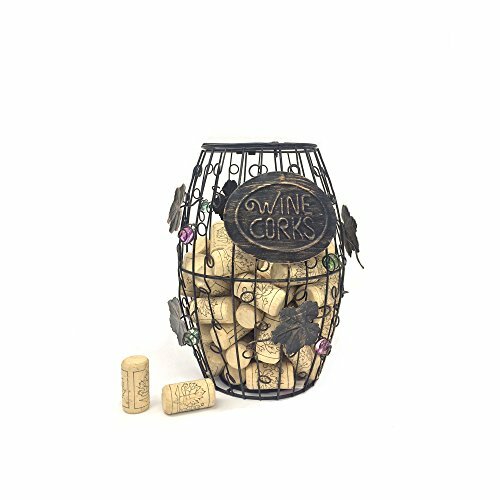 Bronze metal design will hold over 100 corks and look great wherever you put it. HIGH QUALITY - Made of high quality metal meant to store as many corks as you can possibly fit. HOARD MEMORIES - Wine lovers will love this wine bottle cork holder. Save a multiude of keepsake corks from speacial occasion bottles of wine or champagne.